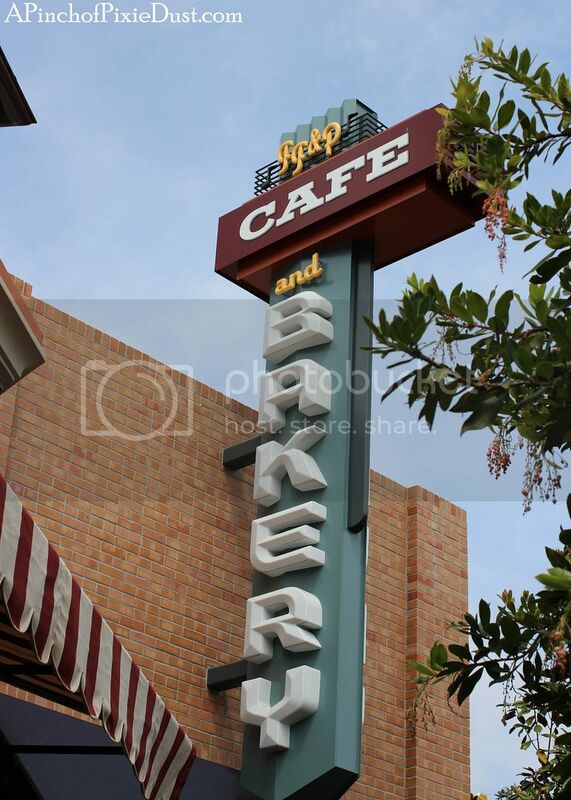 There were lots and lots of delicious eats to be discovered at Disneyland and Disney's California Adventure - sandwiches, ice cream bars, churros, macaroons, pie-o-ramas to name just a few! 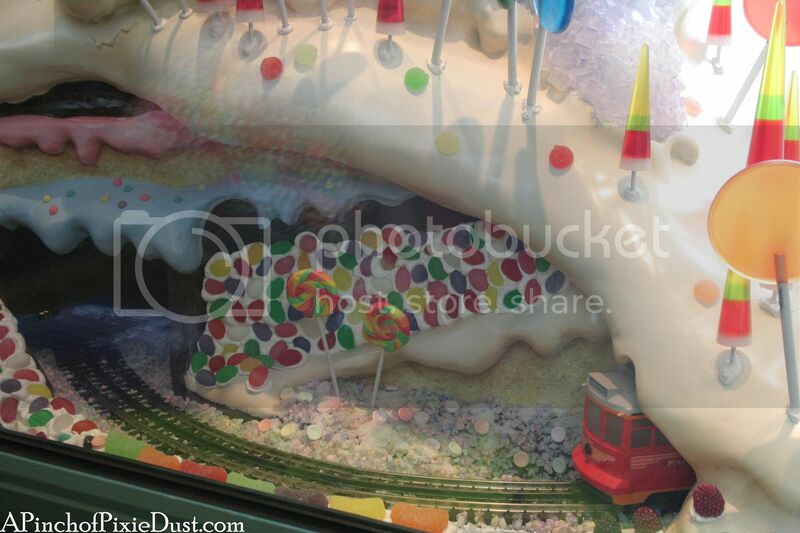 But one particular corner of the dessert scene which I was especially excited to explore was the DISNEYLAND CUPCAKE situation. 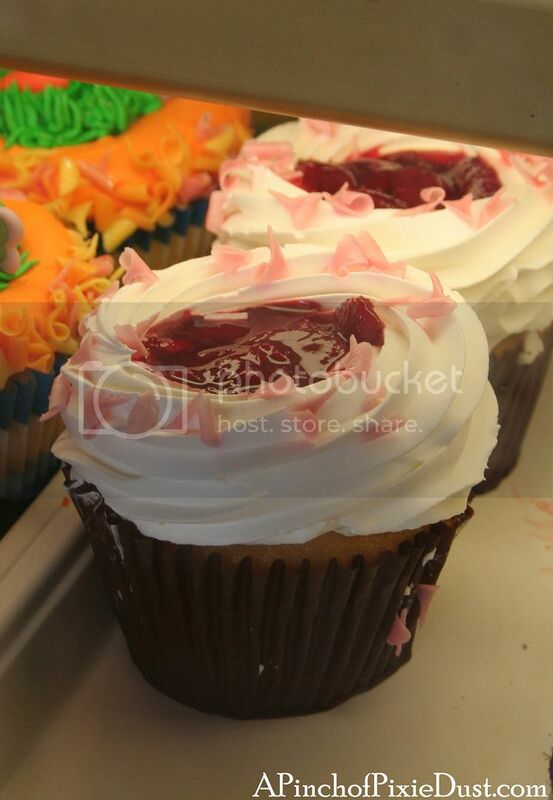 There are TWO lovely-looking cupcakes here. 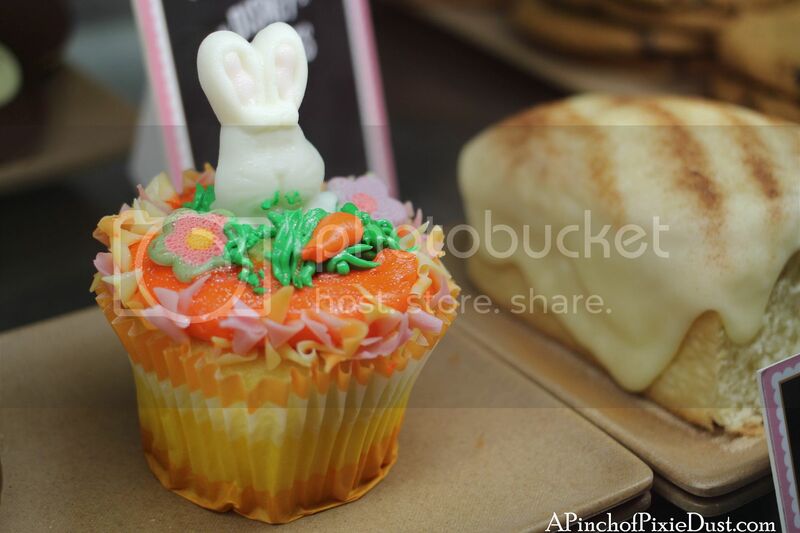 The cast member we asked seemed to think they were both lemon with lemon filling - although one had a springtime/Easter scene in icing while the other had a vanilla icing with strawberry topping in the middle. Because if something is called a Matterhorn Macaroon, you just have to buy it. I'm not normally a fan of coconut, but I enjoyed it! 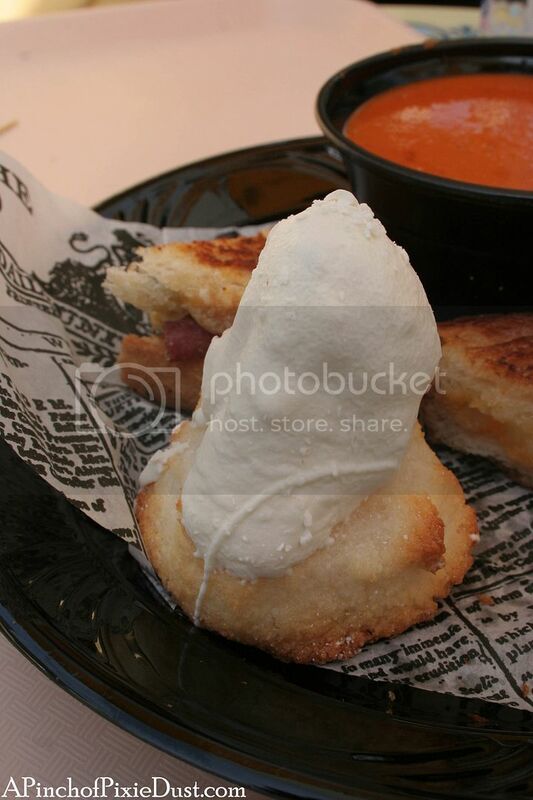 And the sandwich and soup you can see behind were incredible. 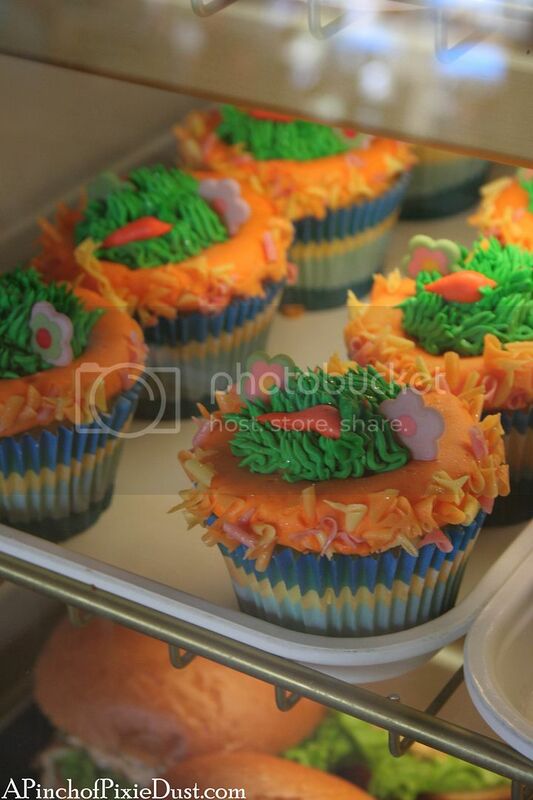 One cupcake that does seem to be consistently available at Disneyland can be found at the Hungry Bear Restaurant tucked back in Critter Country. Headin' for the Hungry Bear! I had seen photos of this little guy on instagram and couldn't wait to try it - look at them all waiting in the fridge! 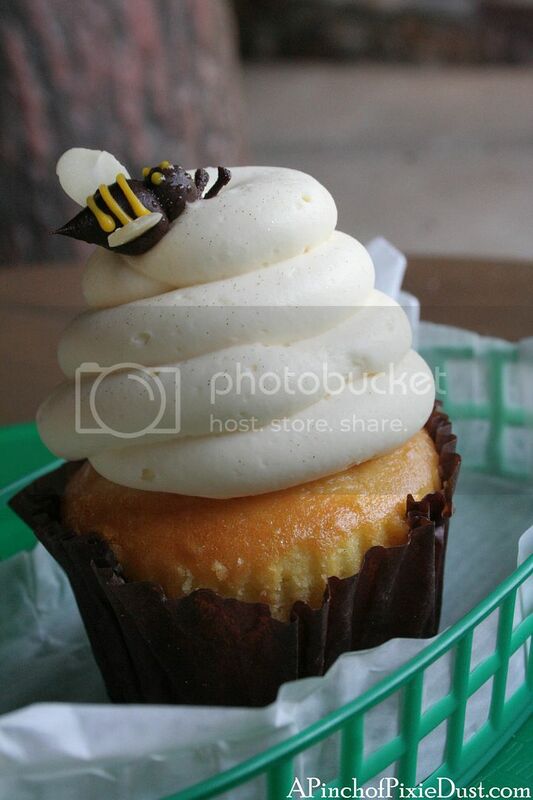 This is the lemon bumblebee cupcake! 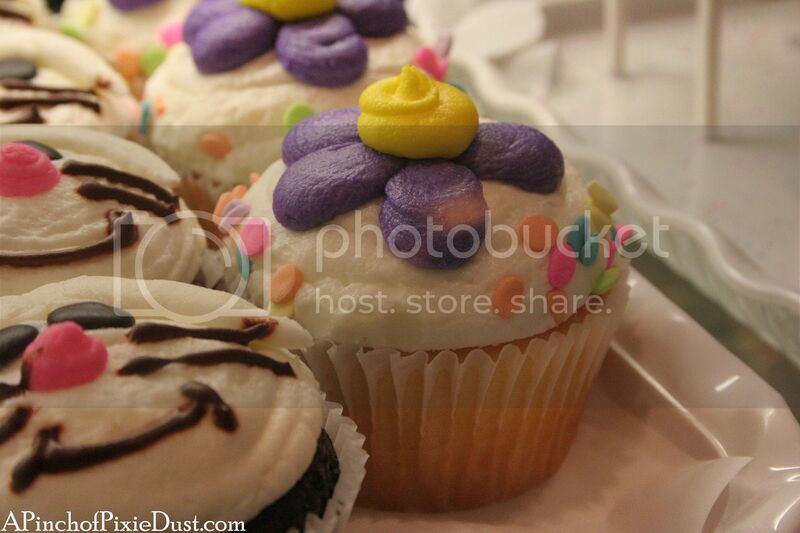 I loved the adorable chocolate bee on top, and the way the icing was flecked with shiny golden-honey-colored sparkles. The cake is lemon as is the filling. 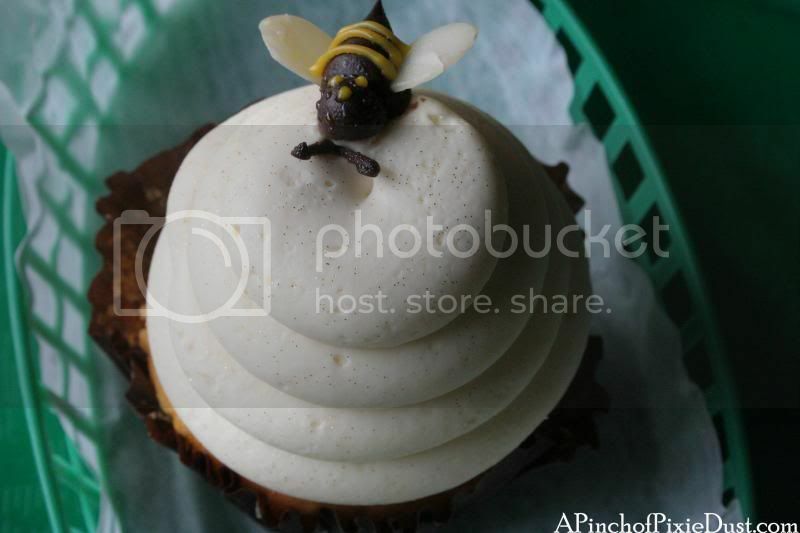 The little bee is made of some very nice fudgy chocolate (I would've loved more of that chocolate in this cupcake actually). The icing is vanilla and so light and frothy and delicious. 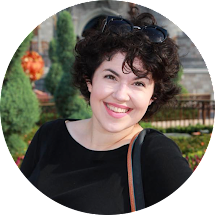 The lemon is certainly refreshing, especially on a warm day; but Mama Snob thought a honey cupcake might have made more sense to go with the bee and the bear restaurant - and have been more exciting! 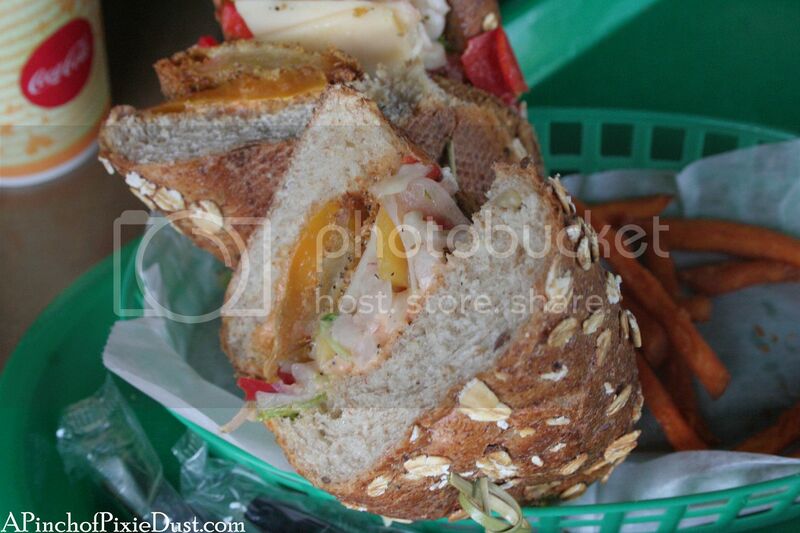 Also can I just quickly mention the fried green tomato sandwich with sweet potato fries at the Hungry Bear? SO TASTY. It's so unique! 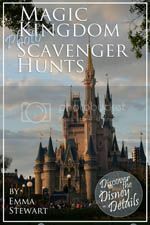 We did not get to stop in the Plaza Inn, but they have a red velvet cupcake and some funky treasure chest cakes. 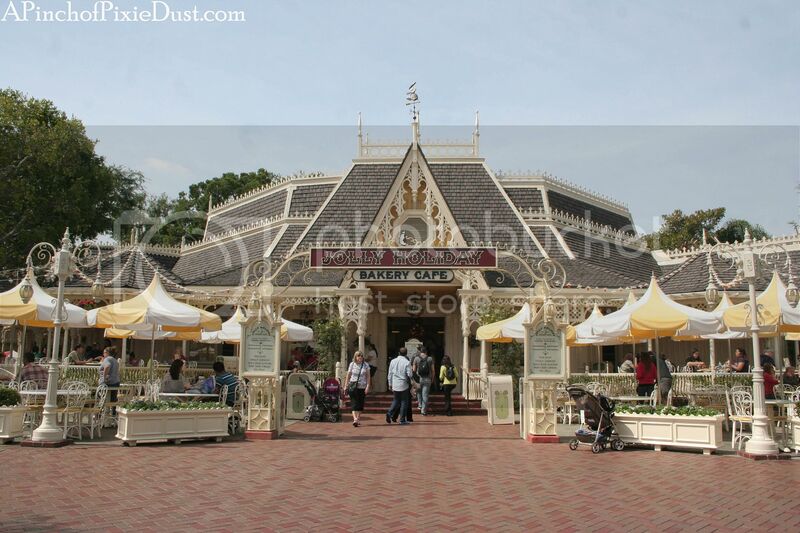 The Candy Palace on Main Street which has your quintessential Disney candy counter with fudge and candy apples - like the Confectionery - apparently sometimes carries cupcakes but not exciting ones (I'll explain in a minute). 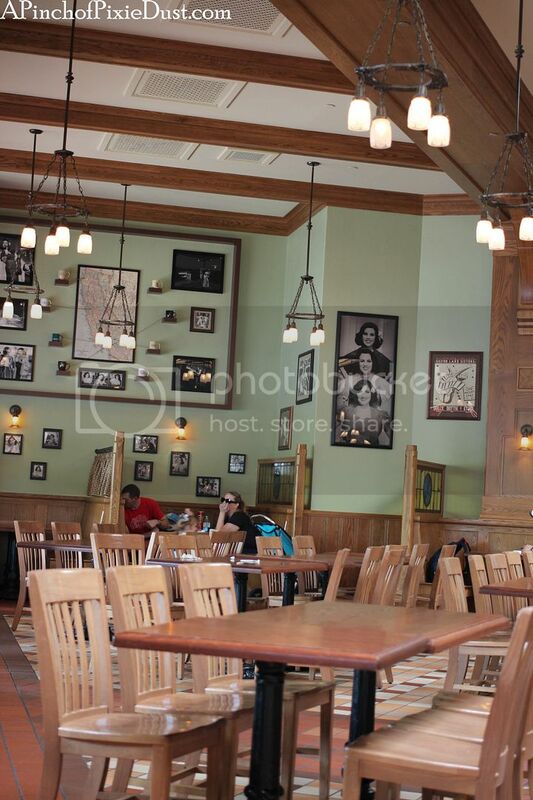 The Market House (Disneyland's Starbucks location) did not have cupcakes, unlike its Disney World counterpart the Main Street Bakery. 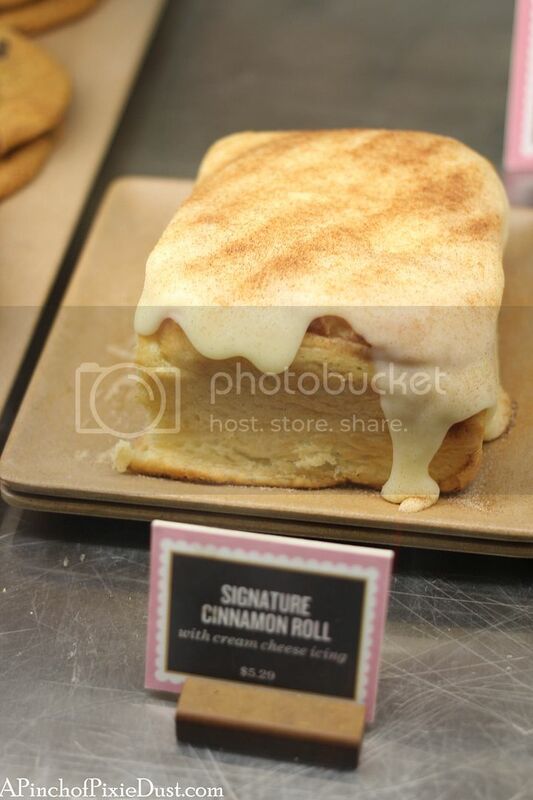 I wish I had gotten to try it, although it doesn't look as delicious when it isn't under a heat lamp sitting in a pool of icing. 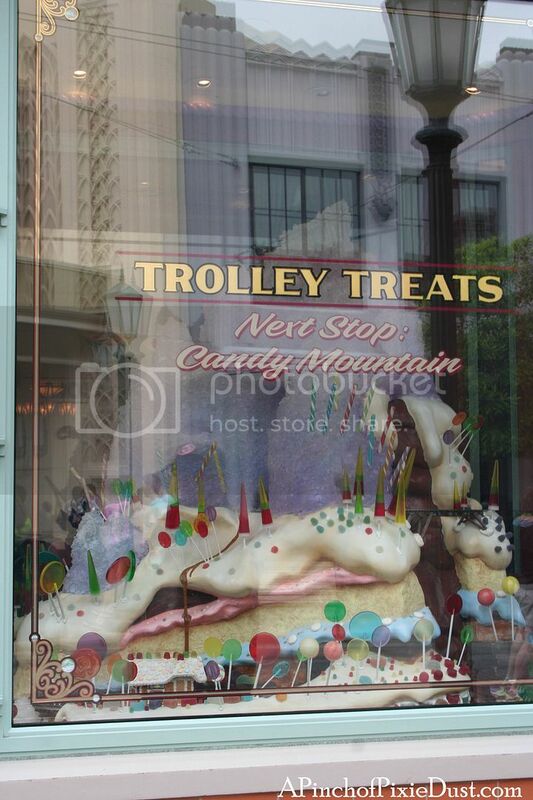 We have one more stop at DCA: Trolley Treats! Isn't that just the cutest name? It's right around the corner from the Fiddler, Fife, and Practical, and it has a darling trolley train layout in the window. 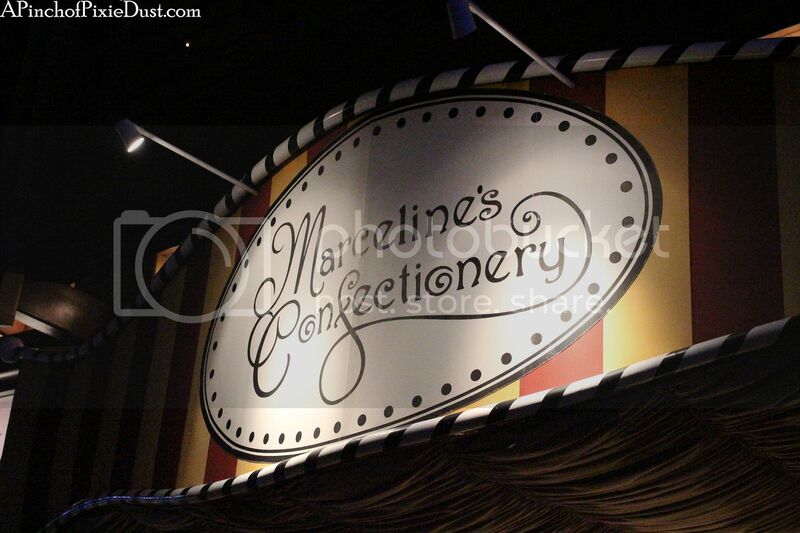 This is the sort-of candy counter I was talking about with Candy Palace. 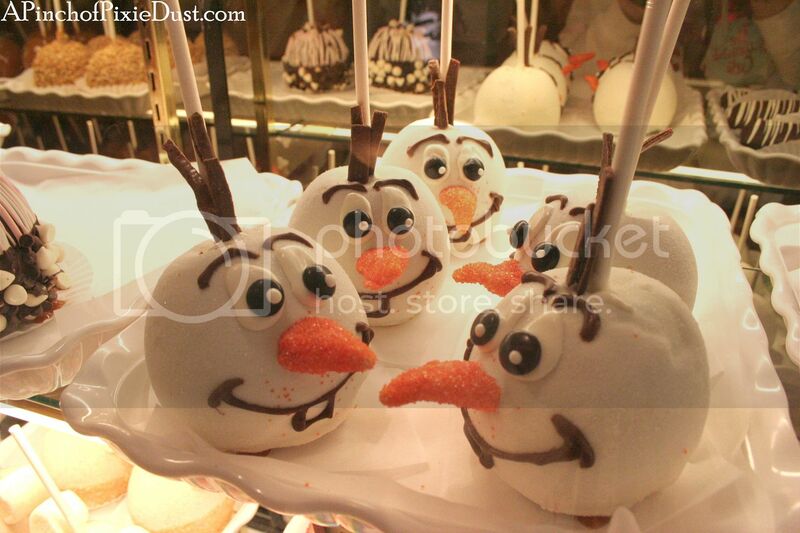 You'll find them all over Disney World and Disneyland, and they have similar cheerful, fun selections: chocolate-covered marshmellows, rice krispie treats, pretzels, and fruit...cake pops, outrageously decorated candy apples like our friend Olaf above. 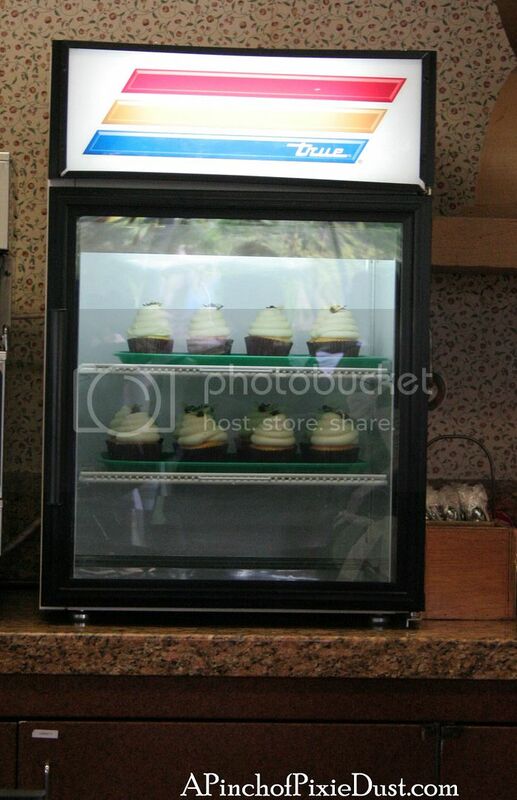 And if you look just down the case there, you'll see some cupcakes! 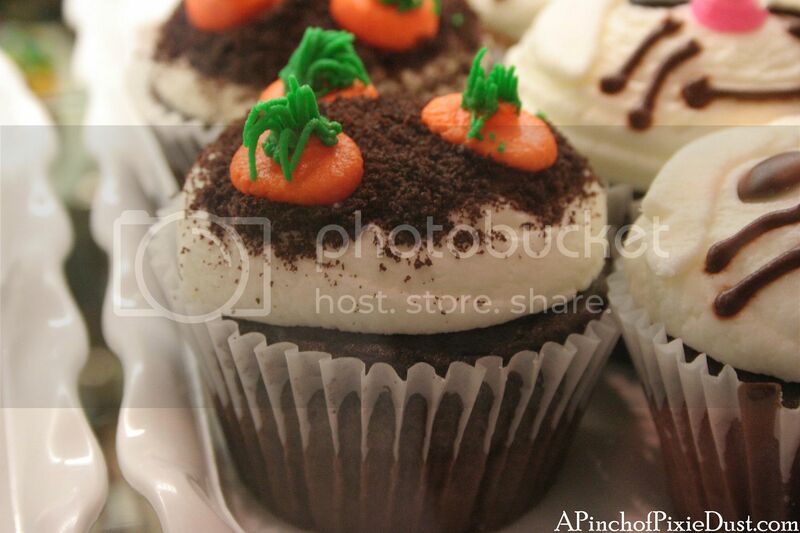 Adorable as these cupcakes are, I decided to wait for a better sweet treat. 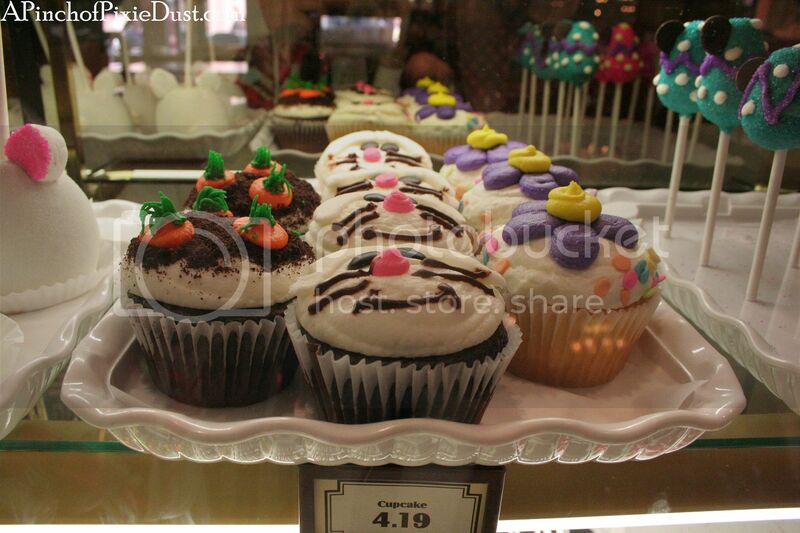 Candy counter cupcakes at Disney, in my experience, just aren't in the same category as the more deluxe cupcakes. They taste like they might have been frozen, the flavors are just regular old chocolate and vanilla, and you'll find the exact same ones all over property. One last cupcake spot to mention that I didn't get to try: an outside chain called The Cupcake Store has a kiosk in Downtown Disney. We only walked by it early in the morning and late at night, when it didn't seem to be open. 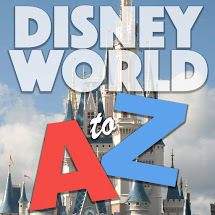 If I've left out anything, hopefully Disneyland aficianados out there will let me know! These are the treats I saw during our trip and have heard of online. It was only a two-day visit, which wasn't much time for research. 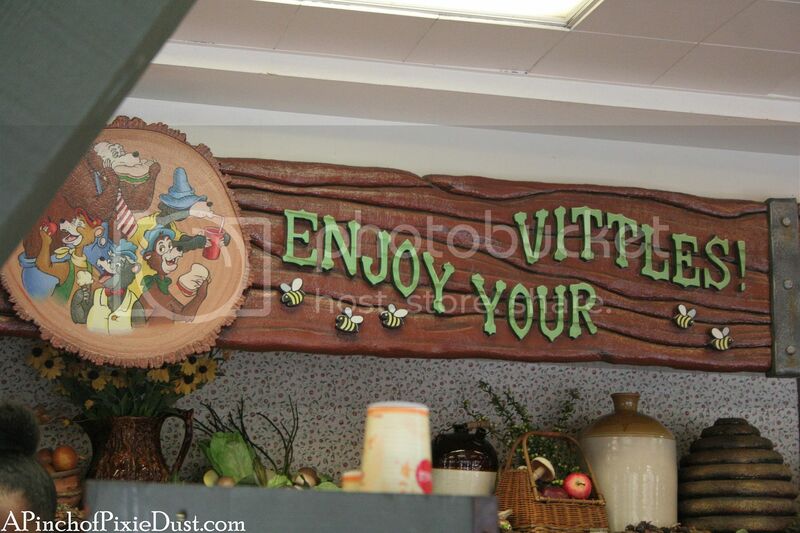 ;) To be honest, cupcakes seem to be a much bigger thing at Walt Disney World. 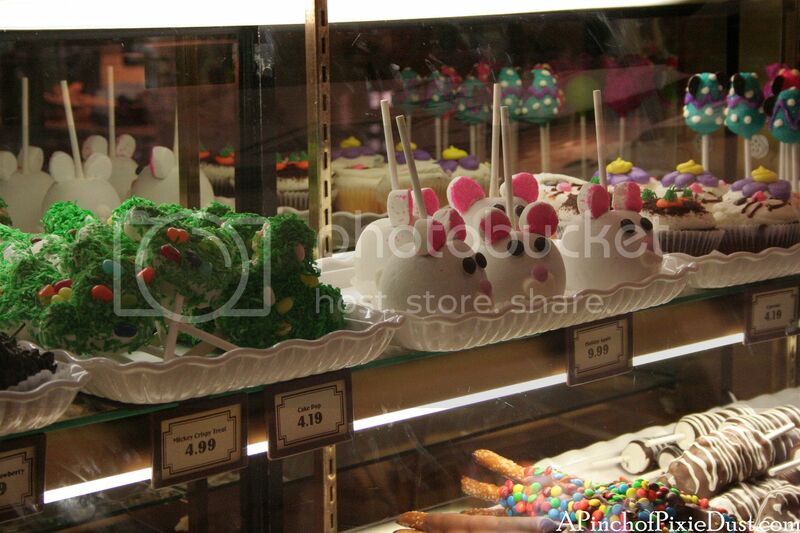 Disneyland certainly has its dessert stars as well, they just seem to come in different forms! 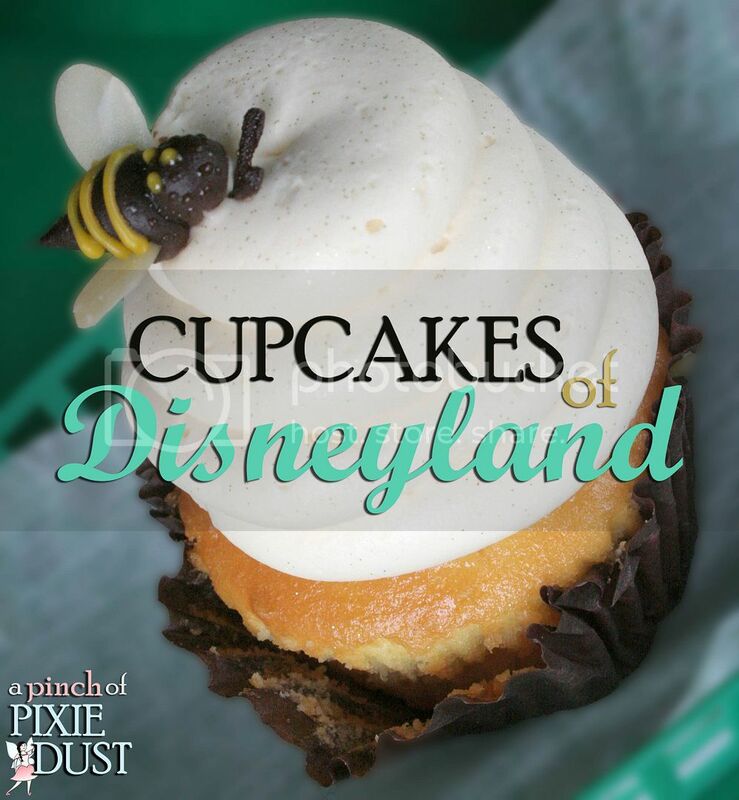 It looks like Disneyland has much to be desired in the way of cupcakes. What a bummer. 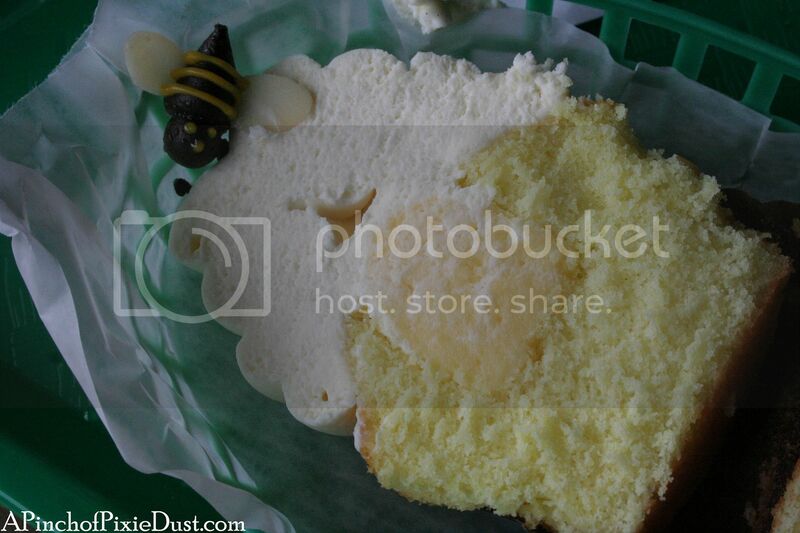 I have had the lemon bumblebee cupcake which I thought was delicious. 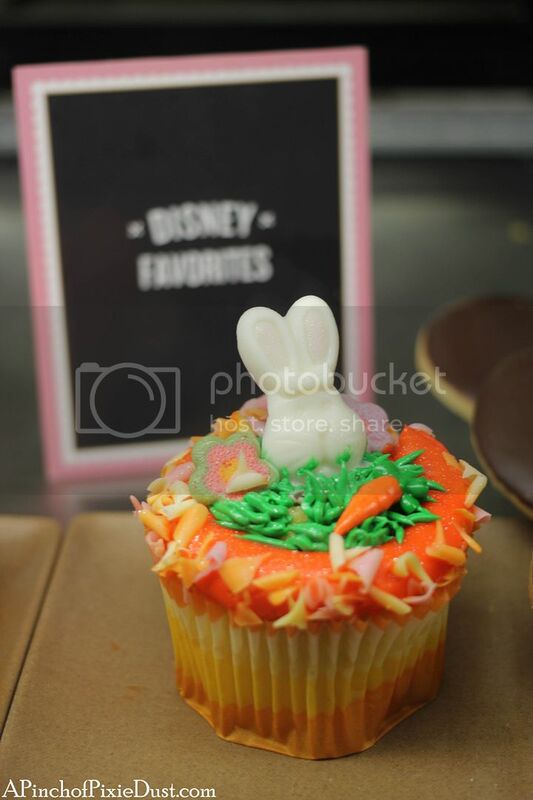 I know that Downtown Disney is getting a Sprinkles to replace Build-A-Bear Workshop but it's not the same as Disney World's wonderful cupcake selection. 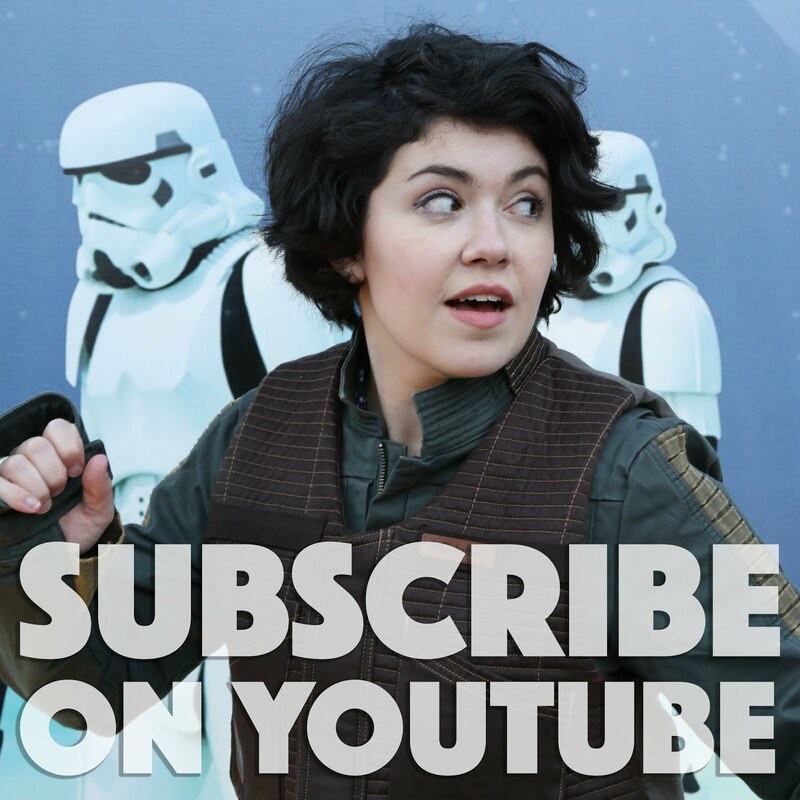 Thank you Emma!